Sealcoating is the best way to preserve the life of your asphalt. 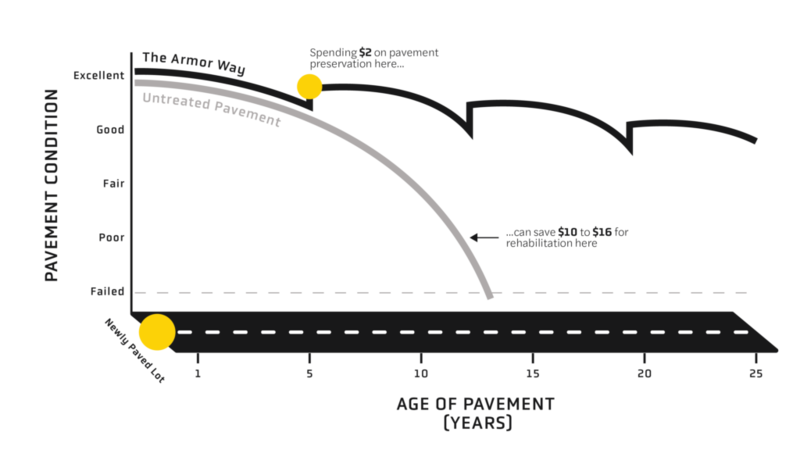 New asphalt should be sealed after the first year of installation and sealed every 2-3 years thereafter. Asphalt sealer safeguards asphalt by placing a protective barrier on the surface and ultimately prevents early pavement deterioration.